Under Maryland law fraud is not the specific legal name of one crime, but rather it’s more of a category, which includes numerous offenses. Regardless of which type of fraud crime you or a loved one has been charged with, the stakes in these cases are extremely high. The maximum penalty for most of these offenses is harsh, often much harsher than similar theft crimes. It is absolutely imperative to retain competent legal counsel at the first sign of a criminal investigation. At the very least do not wait for an arrest to occur before consulting with a lawyer. The Herbst Firm offers free consultations for any type of state and federal fraud crime, and the chances are that Benjamin Herbst has handled a case just like yours in the past. Contact Benjamin at 410-207-2508 to start preparing your defense. On a general level, fraud is defined under the law as one of three different types of acts. First there is willfully making a false statement or false representation, second is the willful failure to disclose a material change in the household or financial situation, and finally it can be defined as the impersonation of another. The first type of fraud is the most common cause of criminal prosecution, and is the cause of charges such as fraud in procuring issuance of a credit card. This is actually a common crime, and often accompanies other charges such as theft. In a case for procuring issuance of a credit card the state must prove that the defendant intentionally make a false statement or representation to the company in order to obtain the card. A conviction for this offense is a misdemeanor with a maximum penalty of 18 months in jail. Defrauding a state health plan is another charge that may result from a false statement or misrepresentation. This type of charge may occur if a person wrongly seeks payment for the rendering of health care services. 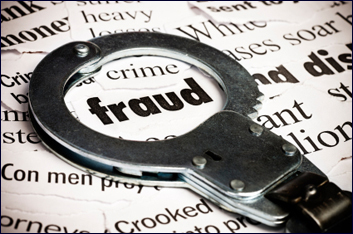 There are other more complex types of fraud charges that may result from a false statement or misrepresentation. These include embezzlement, or fraudulent misappropriation by fiduciary. While embezzlement is a misdemeanor, a conviction may carry a minimum mandatory 1-year jail sentence that cannot be suspended. Fraudulent misrepresentation by corporate officer or agent is another offense that carries a minimum mandatory jail sentence. In this case it’s a 6-month sentence that again cannot be suspended. Public assistance fraud is an example of a charge that may result from a willful failure to disclose change in a household or financial condition. The state and the federal government may also pursue unemployment compensation charges if the defendant fails to end his or her unemployment payments after finding a job. Impersonating another, or identity fraud, is becoming extremely common with all the advances in technology. And the fight back, state and federal prosecutors are becoming increasingly harsh on defendants charged with these offenses. Identity fraud is a felony if the value of goods or services received or even sought is over $500, and the maximum penalty is 15 years in prison and a $25,000 fine. The state typically recommends extensive jail time for these offenses, making it all the more important to retain and experienced and skilled criminal defense attorney.